5G - a fifth-generation mobile network - has appeared at China's two sessions press center. 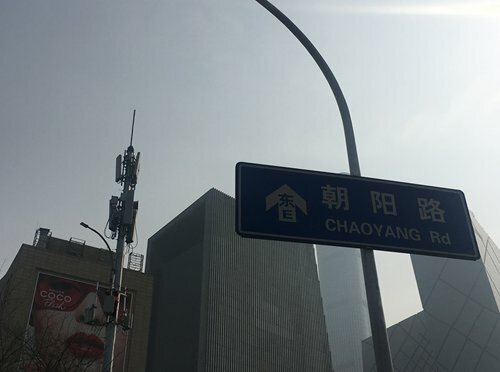 From central Beijing's Tiananmen Square to the southeastern Beijing sub-center, the city is taking the lead to speed up 5G rollout. Reporters who come to Beijing to cover the annual meetings could get a first taste of 5G technology, such as transferring photos or videos at fast speeds, watching the two sessions conference live wearing virtual reality glasses, and using the high-speed wireless internet on designated computers. All of these facilities are powered by 5G, China Unicom told the Global Times at the two sessions press center on Sunday. Twenty-five provinces and cities nationwide are testing 5G networks, according to Zhang Yunyong, a member of the 13th National Committee of the Chinese People's Political Consultative Conference and president of the China Unicom Research Institute. Zhang added that a few 5G mobile phones will hit the market in the second half of this year. "It only takes three seconds to download a high-definition movie of 1GB with 5G," Zhang said in the delegates' corridor during the two sessions on Sunday. Another state-owned telecom operator, China Mobile, plans to cover the area within the Fifth Ring Road in Beijing with 5G by the end of this year, Liu Yu, head of the planning and technology department at China Mobile Beijing branch, told the Global Times on Friday. "We have already installed 5G base stations alongside Chang'an Avenue, Tiananmen Square, the sub-center of Beijing, at China Central Television, in the Central Business District and at the National Stadium in Beijing," Liu said. Liu also said that in 2019, 5G network construction will prioritize Bejiing's new airport and the 2022 Winter Olympics facilities. Adopting both frequencies of 2.6GHz and 4.9GHz for its 5G trials, China Mobile has to build more base stations with higher frequencies in order to serve high-traffic scenarios. But the 2.6GHz frequency can help save operation and maintenance costs in the longer term, according to Liu. Wang Bo, a regional construction manager at China Mobile Beijing branch, is responsible for 5G base station construction in Chaoyang District, Beijing. Bearing great pressure to meet the company's target, he said 30 to 40 outdoor 5G base stations are required just in the populous CBD area. Usually, his team can finish deploying two 5G base stations a day. "We have tested our 5G base stations' download speed, which could reach 600-700 Mbps outdoors. Now, the internet speed for a entire residential quarter is only 100 Mbps," Wang noted. Both Liu and Wang agreed that 5G will better facilitate AI networks, the Industrial Internet of Things, autonomous driving, intelligent agriculture, telemedicine and distance education. "China lagged behind during the 3G era but caught up with others in the 4G era. Now, China can take the lead in 5G era," Liu said, adding the country's advantages are its long-term technological accumulation and its manufacturing ability, which could meet customers' demand to speed up network speeds and lower prices. A telecom industry insider who declined to give his name told the Global Times that foreign countries will lose more than China if they continue to block Chinese companies' 5G equipment. He added with comprehensive supply chains and intelligent manufacturing, China has a great ability to lower its production costs, and is likely to win the 5G competition.